So, maybe this isn’t a Pinterest worthy post, but I thought it would be kind of fun to show you guys how I store our crayons. I have tried multiple storage systems. I have tried small bins. I have tried separating crayons by color. I have tried giving each child their own box. The same thing always happens. Crayons get broken and strewn everywhere. 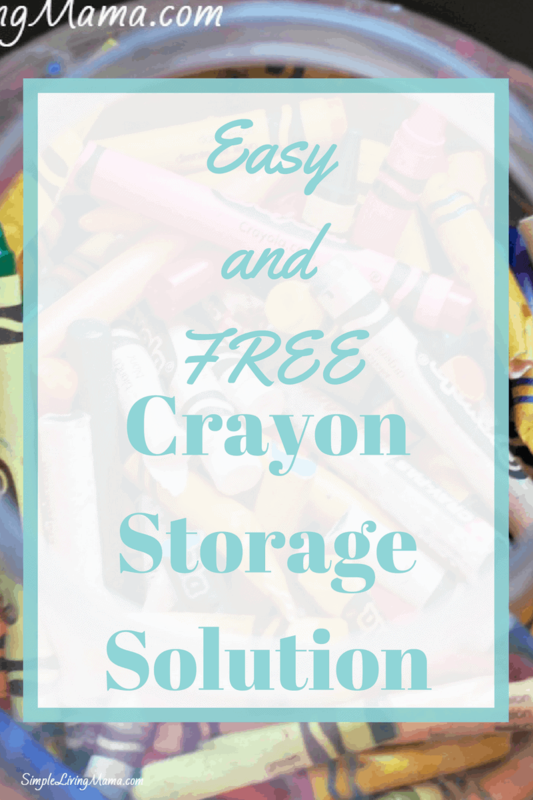 I finally came up with an easy and free crayon storage solution. An old, plastic pickle jar! I figured the kids just break, destroy, and jumble the crayons anyway, so I might as well find a big container to hold them in. It’s actually working out beautifully. 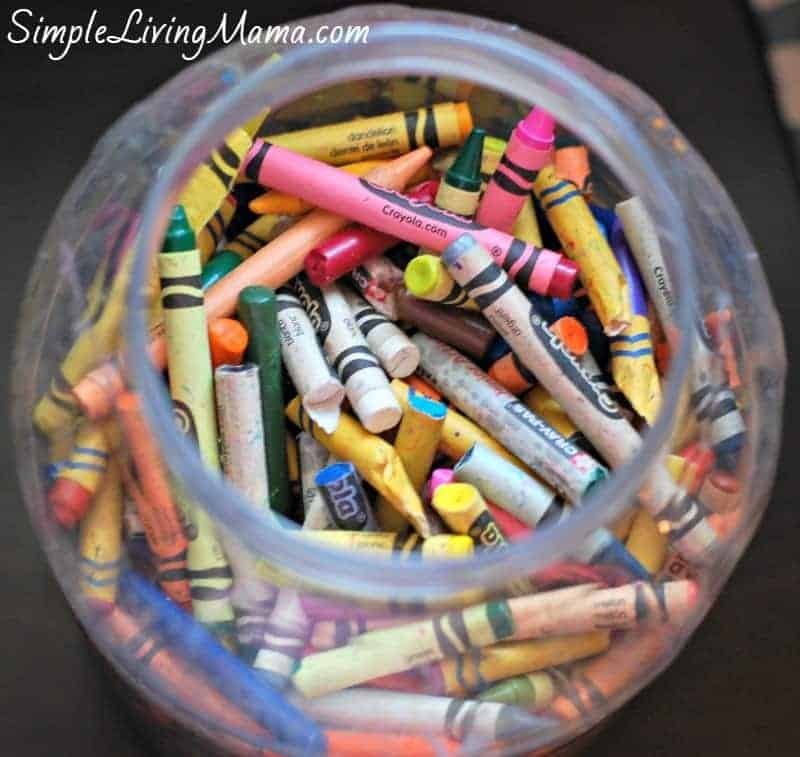 Everyone from my little at home preschooler to my second grader gets their crayons out of the crayon jar! Of course, I made sure the pickle jar was the plastic one. A glass pickle jar would end up busted to pieces all over my kitchen floor within days. If you are worried about the smell of pickles, I will say it fades away pretty quickly once you get all of those crayons in it. I washed the pickle jar with dish soap and hot water several times. A little trick I use to get the sticky off the outside after I pull off the label is to use a little vegetable oil and it rubs right off. 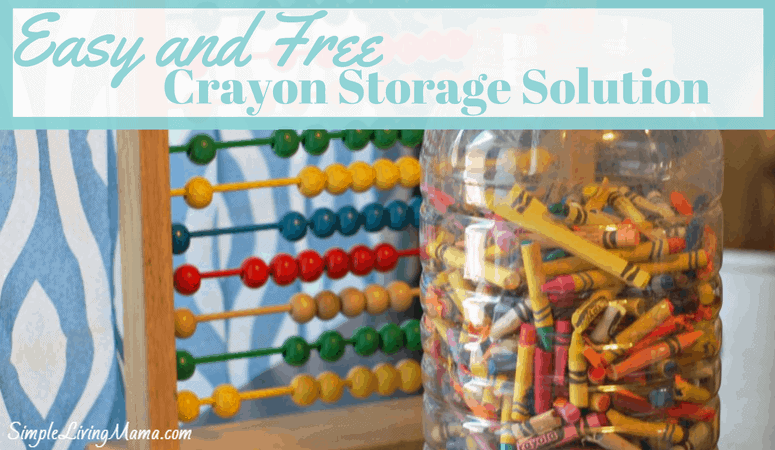 How do you store crayons at your house? I’m always up for new ideas! Do you have a preschooler? Have you ever wondered if you could teach your preschooler at home? I have a brand new eCourse all about Creating Your Own Homeschool Preschool curriculum and it is currently FREE! I love helping moms who have a vision to teach their children at home. It is possible, and it is possible to create a beautiful preschool at home experience. Let me show you how! 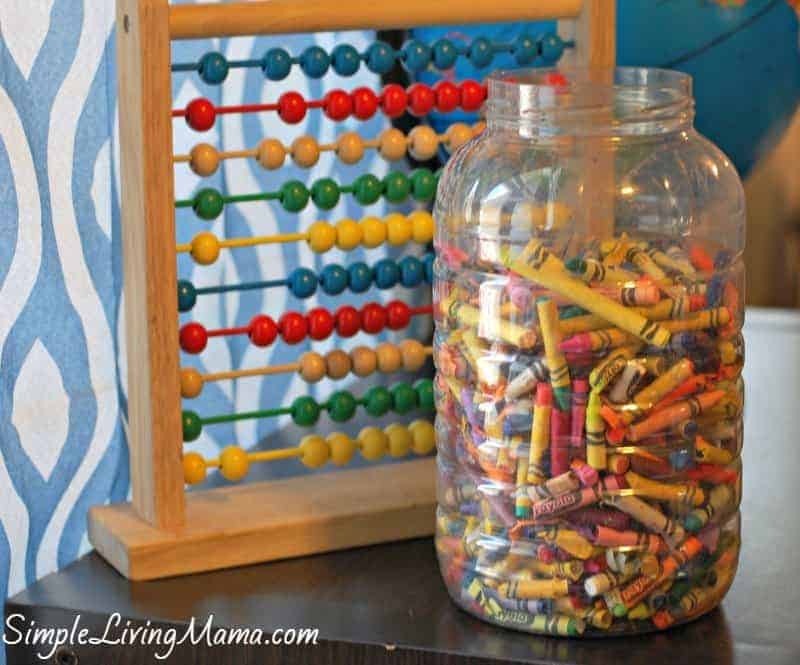 Great way to repurpose the jar. I use the animal cracker tub to store the kids’ dress up accessories. For crayons, I have one large pencil box that has been the “dumping ground” and storage for the crayons.